The UT Elementary campus was abuzz with excitement as students showed off their musical talents—and the many lessons they’ve learned throughout the school year—during the school’s inaugural Special Showcase event held on Thursday, Dec. 13. The event began with performances by several musical ensembles. Guests were treated to songs by the littlest longhorns (grades PreK-1) and performances by the UTES Orchestra led by Courtney Castaneda, and the After School Accordion Program led by Joel Guzman. 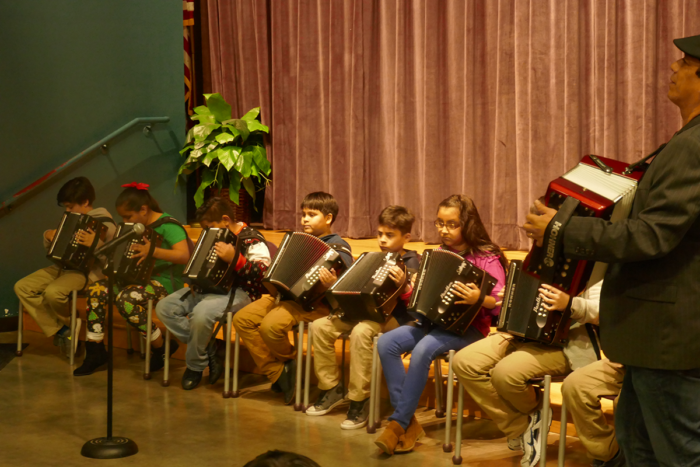 Family members and teachers smiled with pride as the Little Longhorns, of various grade levels, showed off their instrumental skills. 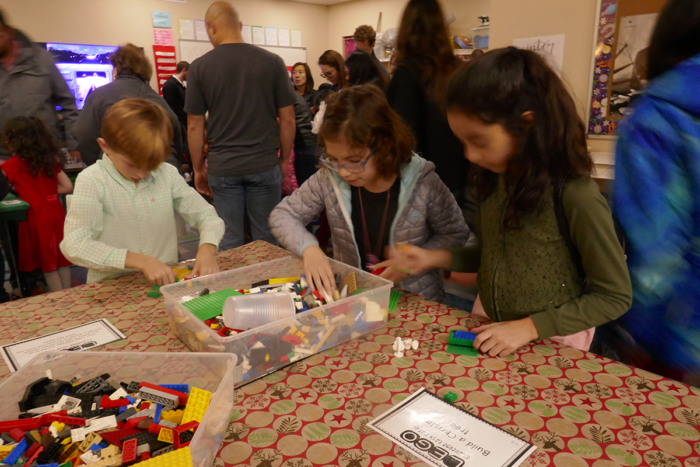 After the performers took their final bow, visitors toured the STEAM, Wellness and Physical Education classrooms to view the students’ projects in the areas of robotics, coding, health and wellness, art and more. 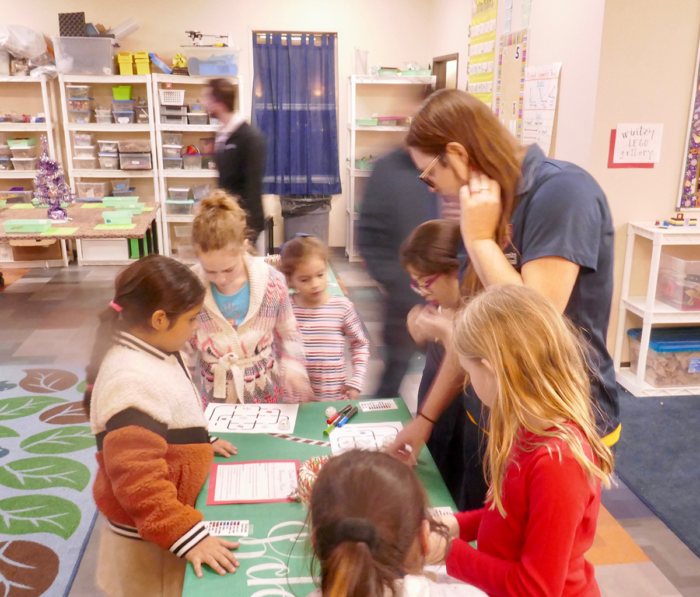 They also participated in a number of interactive games—from coding ornaments to building trees with Legos to navigating holiday-themed mazes. Toward the end of the evening, visitors gathered in the auditorium to chat with one another over cookies and refreshments. The Special Showcase is one of many celebratory events that bring students, teachers and family members together at the school.